These are the facilities where I have worked since 2006. They are in order beginning with the most recent and ending with my first assignment as a CRNA. To search for a specific facility, click on the "All Facilities" drop down arrow. The purpose of this page is to offer basic information about the facilities and locations along with my overall impressions from a Traveler's perspective of what would be helpful to know when considering an assignment. The number in parentheses following the Traveler Considerations indicates my rating on a scale from 1 to 5 with 5 being the highest. Of course, this is from my perspective only. If you'd like to know more about any of the facilities, I'd be happy to speak with you personally. Click HERE to contact me. Click on the "All Facilities" dropdown to access a facility you are interested in learning more about it. DHMC is a 400-bed, full-service, academic medical center located on campus in Lebanon, New Hampshire. Anesthesiology was established as a specialty at Dartmouth in 1941 and as an independent department in 1989. The attending staff and CRNAs are members of the faculty of tab of the Geisel School of Medicine at Dartmouth College. "I just want to send out an e-mail to acknowledge the CRNA staff as we celebrate National CRNA week. It goes without saying that we have one of the most talented groups of CRNA providers in our industry right here at Dartmouth-Hitchcock! You not only care for some of the highest surgical acuity patients in the Northeast, you bring professionalism and clinical skills to a Care Team environment that optimizes the outcome of our critically ill or injured patients. Because of you, Dartmouth-Hitchcock is also an outstanding training site for our SRNA students. We routinely train students that end up having some the highest procedural and clinical numbers required for graduation. We also provide an environment of comprehensive experience for those CRNA’s that work here and later move on to the community hospital setting. Practice Type: (5) Teaching Hospital. Supportive group practice. Excellent for new Graduates. EMR's Record Keeping: Epic - training provided during orientation. Case Load: (2) Most CRNAs work 10 hour shifts. Down time can be frequent, including a full day of breaking only. Case Variety: (4) No OB, No Peds, Travelers are assigned the same a Staff, Management honors requests. There is an atmosphere of respect for experienced CRNAs. Credentialing Process: (1)Credentialing personnel are not familiar with high volume work histories typical of CRNA travelers. Helpful hint: Do not rely on staffing agencies for your credentialing. Acuity and Practice Autonomy: (5) DHMC is a teaching hospital and located in a rural area. Its patient population has exceptionally high acuity levels. Travelers, are treated similar to staff and given the high acuity patients along with their coworkers. Housing: (3) Housing can be expensive. However do to the extent of my contract and my familiarity of the region, I was able to rent a very nice, reasonably priced, apartment. Commute: (5) I am familiar with the area and purposefully made my commute 30 min in order to enjoy the beautiful NH highways daily! Recreation: (5) Recreation in this area is plentiful including Hiking, Biking, Swimming, Skiing. Since I grew up here, I love returning here, especially in the Fall! Exercise Facilities: (4) DHMC is connected to the Ivy League school, Dartmouth. Therefore, all the amenities of such a school, including exercise facilities are available to DHMC employees. However, I personally did not take advantage of this. St. David’s Medical Centers are located in and around the Austin, Texas metropolitan area. Combined, they provide comprehensive care, offer a superior cardiac program, maternity units with Level I and II nurseries, state-of-the-art technology in operating rooms and endoscopy suites, as well as 24/7 Emergency Departments. Practice Type: (4) Large group practice. Multiple Site Facility. Recently started hiring AAs. EMR's Record Keeping: Paper. FYI This facility has an excellent communication network and a supportive CRNA network. Case Load: (5) CRNAs are offered a variety of shifts, down time is minimal. Breaks are always provided and all food venues (cafeteria, doctors lounge, coffee stands etc.) are FREE! Case Variety: (4) CRNAs do hearts, heads, OB. This facility (south) does a lot of high-level Trauma cases. Traveler requests are honored. The hiring of AA does not affect travelers. Credentialing Process: (4) This facility outsources their credentialing with Parallon Helpful Hint - Do not rely on staffing agencies to do your credentialing. Acuity and Practice Autonomy: (4) Relative to other assignments, Austin's patient population were mostly ASA I or II. However, traveling CRNAs are given assignments equivalent to their peers. Housing: (4) I was able to stay with a friend while working this assignment, and therefore unable to comment specifically on availability and expense. Commute: (1) The multi-site nature of this assignment required commuting between North and South Austin - traffic was a significant problem. Recreation: (5) Austin has plentiful outdoor activities and beautiful weather throughout most of the year. Music, the Arts and dining out are excellent, as well. Exercise Facilities: (5) Austin is a university town and the capital of Texas. It has much to offer outside of work, including exercise facilities. This full-service hospital opened on August 1, 1971 and has since undergone numerous expansions. Hunt Regional serves patients in Hunt County and surrounding areas. 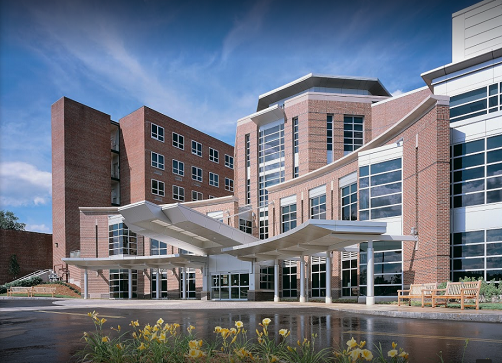 The hospital offers an extensive list of services including a surgery center, digital imaging, behavioral health, the Lou and Jack Finney Cancer Center, home care, infusion therapy, laboratory services, a Level III NICU, mobile mammography, wound care, rehabilitation center, a surgery center, women & infant care and more. 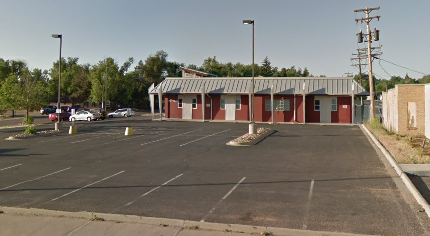 Practice Type: (4) Small Community Hospital staffed by NorthStar Anesthesia. EMR's Record Keeping: Paper charting is efficient and easy to learn. Case Load: (4) CRNAs rotate on an eight-week cycle. Some weeks, call and work load, are heavy. Other weeks work is light and the eighth week is time off. Case Variety: (5) CRNAs cover all call including OB and Trauma. This assignment is excellent for CRNAs who are wanting to practice independently. Credentialing Process: (4) Straight forward credentialing. Since I have worked for NorthStar Anesthesia in the past and was previously credentialed, it is difficult to judge the efficiency of the credentialing process accurately. Acuity and Practice Autonomy: (4) Acuity can be high, however really complicated cases would most likely go to Dallas for their care. Housing: (1) Housing was a difficult problem for me during this assignment. Call required close proximity to the hospital. I stayed in a hotel. Do to the proximity to Dallas, there are no short term stay housing in Greenville. The closest housing is 30 to 40 min away. Commute: (3) The Commute to Greenville is easy. Large, high speed, Texas highways make for what may seem like too far fairly reasonable. I stayed in Rockwall, TX. Recreation: (2) Greenville is a small rural town, just east of Dallas. The town itself has very little recreation. However, Dallas far makes up for what Greenville lacks! Exercise Facilities: (2) Other than hotel gyms, there is little to choose from in Greenville. Concord Hospital is an acute-care hospital located in Concord, New Hampshire. It is a charitable organization which exists to meet the health needs of individuals within the communities it serves. In 2014, the hospital spent $52+ million on what they term "Community Benefits" programs and services, referring to charitable care and other philanthropic services. The hospital has "centers of excellence" in cardiac, cancer, orthopedics, urology and women's health services, serving as a regional referral resource. Its level II Trauma Center designation certifies that the hospital has the resources to provide a level of care for patients with a wide range of injuries. Practice Type: (4) Small community Hospital staffed by their own anesthesia group. EMR's Record Keeping: Recently converted to Cerner. When I worked there, they were using paper. Case Load: (5) I worked 8 hour shifts M-F. I was rarely let out early and never late. My days were full. Breaks were provided regularly. Case Variety: (3) CRNAs have no call, weekends, OB or Pediatrics. I worked mostly in the ASC. Team model anesthesia -minimal independence. Credentialing Process: (4) I remember the credentialing process being straightforward and efficient. My staffing agency (Medicus) was very helpful. Acuity and Practice Autonomy: (5) Most of my patients were ASA1 and ASA2. Requests are taken into account when making assignments. Housing: (3) Pet friendly housing was difficult to find. I used Airbnb and was able to find a nice place in the lake region of NH. Commute:(5) I personally enjoyed by commute during this assignment. Especially in the fall -little to no traffic. Recreation: (5) Outdoor recreation is abundant. Including Hiking Biking Canoeing, Swimming, to name a few. Exercise Facilities: (4) Concord is a small New England town. However, it is also the capital of New Hampshire. The community has an above average health conscience and the facilities reflect this believe. Banner - University Medical Center Tucson (BUMCT), formerly University Medical Center and the University of Arizona Medical Center, is a private, non-profit, 487-bed acute-care hospital located on the campus of the University of Arizona in Tucson, Arizona. BUMCT is part of the University of Arizona Health Sciences (UAHS) center campus which includes the university's Colleges of Medicine, Nursing, Pharmacy and Public Health. It is Southern Arizona's only Level I trauma center for both adult and pediatric patients. Practice Type: (2) TMC is a teaching hospital with a large, fluctuating group practice. Anesthesia care can be inconsistent between providers. EMR's Record Keeping: Epic / Cerner. The switch to Banner Health required a change in EMR. Case Load: (3) I worked a 10 hour shifts. At 3PM, traveling CRNAs to the OR to relieve resident MDs. Working the end of your shift requires strong impersonal relationship skills. Case Variety: (3) Traveler CRNAs were placed more often then not, in Endo. (The main OR uses Epic and there is no, paid training, for travelers). Credentialing Process: (4) I worked for Banner Health previously, so my credentialing was straight forward and efficient. Acuity and Practice Autonomy: (2) Traveling CRNAs were mostly used to fill in the scheduling gaps. In general, the atmosphere was unsupportive and, at times, disrespectful. Housing: (5) Housing in Tucson is easy to find and relatively inexpensive. Most places are dog friendly. Commute: (4) Tucson has traffic, however, the roads are well managed and commute times short. Recreation: (5) Tucson has a wide variety of outdoor activities. I enjoyed cycling, outdoor pools and hiking. Exercise Facilities: (5) The exercise facilities are excellent in Tucson. Lots of variety. My favorite was the Hot Yoga studios! Fairbanks Memorial Hospital in Fairbanks, Alaska is a general medical and surgical facility and the only private hospital in Fairbanks. The hospital is working under Foundation Health Partners (formally Banner Health), which is a newly created subsidiary of the Greater Fairbanks Community Hospital Foundation. Practice Type: (2) Small Community Hospital with well established anesthesia group. Not recommended for new graduates. EMR's Record Keeping: Cerner -This group uses personalized MACROs, a nice benefit to travelers. Case Load: (3) Travelers are treated equivalent to staff in regards to assignments. CRNAs have control over scheduling. For travelers "guaranteed hours" and "overtime" may become issues, if not clearly spelled out in your contract. Case Variety: (4) Fast turnovers, experienced surgeons, with a wide variety of surgical cases. I personally did a significant amount of pediatrics at this facility. CRNAs do not take call. Credentialing Process: (4) Credentialing was straightforward and efficient. Acuity and Practice Autonomy: (4) The average Alaskan, is "chart healthy" only. Autonomy is high at this facility. Experienced travelers recommended. Housing: (2) Housing is available in Fairbanks. However, the quality of hotel, is substandard. Since I flew home to Anchorage every weekend, I did not use Airbnb and am unable to comment on it. Commute: (4) Fairbanks is a small community with little to no traffic. However, driving to work can be a challenge, do to weather, especially in the winter! Recreation: (4) There is lots to see in Alaska. In Fairbanks, my favorite is the Northern Lights in the Kachina Hot Springs! Exercise Facilities: (4) I'm a member of the Alaska Club which has locations in both Anchorage and Fairbanks. Also the hospital itself has an excellent gym available to providers. 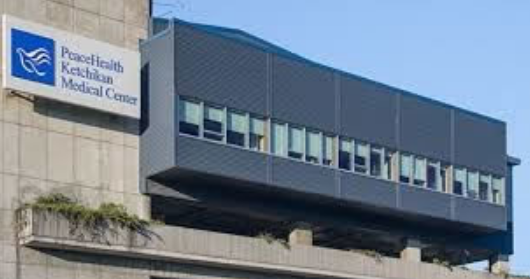 Baystate Medical Center (BMC) is a 716-bed independent academic medical center and the regional campus of the University of Massachusetts Medical School - Baystate. 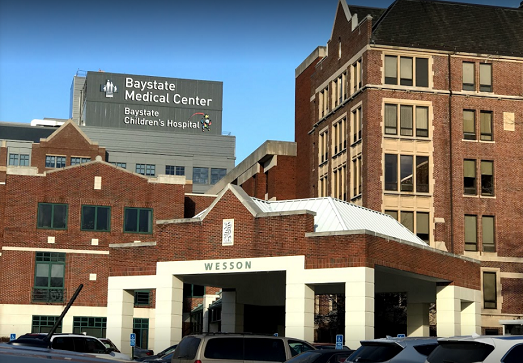 The facility includes Baystate Children's Hospital, the Wesson Women and Infants' Unit, the region's only Level 1 Trauma Center. Practice Type: (4) Large group practice, over 50 CRNAs covering a variety of facilities. Excellent support. Case Load: (4) Personally, I work an eight hour shift and stayed busy with minimal down time. Case Variety: (4) Personally, I work an eight hour shift and stayed busy with minimal down time. Credentialing Process: (3) Communication between the credentialing office and department head is poor. I was able to prevent 'start day' delays by speaking directly to the department chair. Acuity and Practice Autonomy: (4) Acuity low and Autonomy high at this facility. Travelers are treated with the same respect as regular staff. Housing: (4) Housing was provided by StaffCare. For this assignment, they did an excellent job. I was able to walk to work and my dog stayed with me! Commute: (3) Reasonable for a populated area of the country. Recreation: (3) Springfield MA is like in-between outdoor life of a rural community and social life of a Urban area. It has some of the benefits and some of the problems of both. Exercise Facilities: (2) I was unable to find any gyms in the area. TTUHSC is an academic Medical Center which educates students, provides patient care and conducts biomedical and clinical research. They graduate the most health care professionals in the state of Texas. 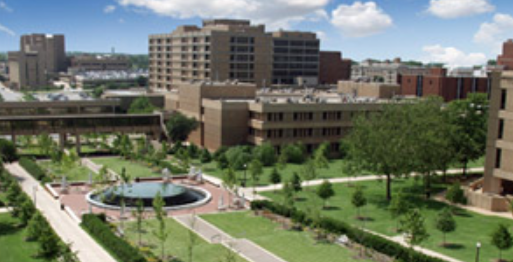 TTUHSC is nationally recognized for innovative programs, academic achievement, and cutting-edge research. Practice Type: (3) Large university teaching Hospital -minimal support However, I knew the facility and people from having trained here. EMR's Record Keeping: Epic -No training available to travelers. Case Load: (2) The case load at this facility was especially heavy. Little to no down time. Quick turnovers allow little time to review for optimal care. I worked both 10 and 8 hour shifts. Case Variety: (3) Travelers were mostly placed in Endo. However, the cases in this department were more varied then most other endo centers I've worked in. Anesthesia was challenging! 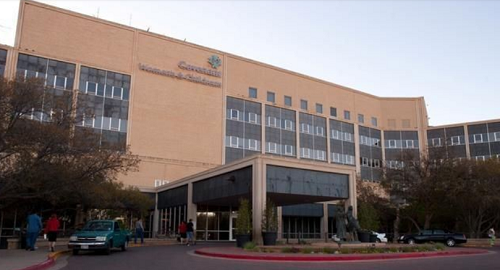 Credentialing Process: (3) Since I trained at TTUHSC, my credentialing was pretty straightforward. My staffing agency was LocumTenens. Acuity and Practice Autonomy: (4) Acuity and autonomy at this facility is exceptionally high. Housing: (4) Having lived in Lubbock, I can confidently say housing is affordable and available. Commute: (5) Easy and convenient commute -Beautiful sunrises and sunsets! Recreation: (3) Lubbock is a city with a small town feel. There is plenty to do, however, you have to look for it. I enjoyed cycling with the local cycling club. Exercise Facilities: (4) There are plenty of gyms with several membership options. Also, CRNAs can get access to the collage Recreational center. Personally, I enjoy a top notch Yoga studio while traveling there. 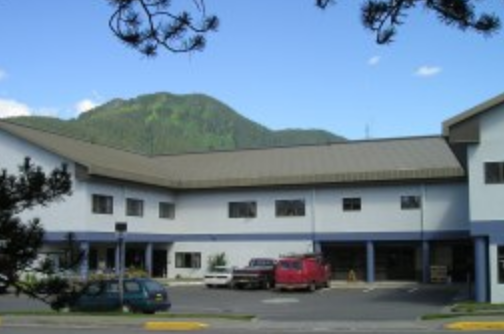 PeaceHealth od a critical access hospital and has been serving the communities of Southeast Alaska since 1923 with Ketchikan Medical Center, a 25-bed critical access hospital offering comprehensive trauma care, outpatient and home health services, and a 29-bed long-term care facility. Primary and specialty medical care are provided by PeaceHealth Medical Group—Ketchikan and Prince of Wales Island. The Trauma IV emergency department operates 24 hours a day, 365 days a year, staffed by physicians who are independent contractors employed by National Emergency Services (NES). Practice Type: (1) Small hospital. SOLO practice. Little support. Not recommended for new graduates. Case Load: (1) Daily case load is low. However, call shifts are frequent. Case Variety: (1) Do not let, "solo practice" intimidate you. The complexity of cases is dependent on surgeons available. Often patients are transported to Seattle for care. Credentialing Process: (1) I credentialed myself (without a staffing agency) and it was difficult. The credentialing officer had little to no experience credentialing CRNAs, especially CRNA travelers. Acuity and Practice Autonomy: (4) As with most of Alaska, acuity can be misleading (chart healthy). Ketchikan is the cruise ships first stop from Seattle. Older people often arrive with critical Cholecystitis. Housing: (4) Vacation homes are plentiful. Many of the islanders make the majority of their money renting to vacationers. However it can get very expensive. Commute: (4) Ketchikan is a beautiful island with a small native population. However, when the cruise boats land the population on the island doubles! And traffic can be a problem. Recreation: (4) The town of Ketchikan has excellent hiking. If fishing is your sport, I can't think of a place better then Ketch! Exercise Facilities: (5) For a small town, Ketchikan has an amazing Rec center with an Olympic size pool! Membership is very reasonable. Kaiser Permanente Medical Centers (also known as Group Health) are urgent care centers and medical clinics in Washington state. In 2017, Kaiser Permanente acquired Group Health Cooperative and its subsidiaries, which have been caring for members in Washington since 1947. Practice Type: (4) Large group practice, CRNA s are part of the nurses union. Excellent support. Recommended for new graduates. Case Load: (4) Depending on the location, case loads can be light. Guaranteed hours requires staying even when there is nothing else to do. Case Variety: (4) Travelers are treated similar to resident CRNAs. Credentialing Process: (3) I credentialed through CPR Anesthesia. I don't recall any deficiencies. However, it took me over three months to credential. Acuity and Practice Autonomy: (3) Generally acuity is low at this facility. The anesthesia group uses a team model approach. Autonomy is minimal. Housing: (3) Housing is available, however expensive. I chose this assignment per diem, worked one year and, overall, lost money. Commute: (2) Traffic is extremely bad, especially on Capitol Hill in Seattle. Tacoma is not so bad. However, weather and the steep incline can be challenging. Recreation: (3) Seattle is a big city. There is few recreational spots. However, if you like the night life and to live down town (with no commute) this is the place for you! Exercise Facilities: (4) There is a lot to choose from in this area. However, commuting to and from may be a deterrent to exercise. Practice Type: (2) Government facility - Solo practice. No anesthesia support. Not recommended for new graduates. Case Load: (2) This facility is a clinic with two operating rooms. You work without another anesthesia provider. A large portion of your time is spent interviewing patients in the preoperative clinic. No guaranteed hours. Case Variety: (2) Cases include hernia repairs, colonoscopies, eyes mostly, No call, No weekends. Credentialing Process: (4) The credentialing process is government run. It is straightforward and online. In addition, once credentialed at one government facility, you are credentialed at every government facility across the nation, including reservations. Acuity and Practice Autonomy: (3) Acuity is generally low. This facility is a solo practice, however, there is a great deal of contention between CRNAs and nursing management. Promotion to staff is based on military background only. Housing: (3) Anchorage has housing, however, since I live there I do not have experience finding housing. You could, however, stay with me! Commute: (3) The traffic is minimal, however, do to weather conditions, it can be challenging driving to work. Recreation: (4) Anchorage is the most populated city in Alaska. There are an abundant amount of outdoor activities -bring equipment! Exercise Facilities: (4) Being a large city, Anchorage has wide variety of exercise facilities. If you are military, the base is next to the clinic and had an excellent recreational center. Creekside Surger Center began seeing patients in November 2010. They provide ambulatory surgery services for orthopedic, ear nose and throat, podiatry, pain management, and spine procedures. 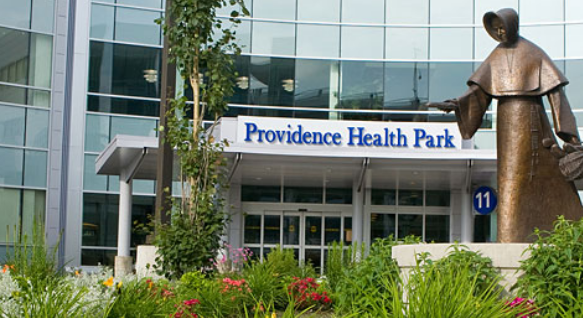 The center is a joint venture between local surgeons and Providence Health and Services, Washington. Practice Type: (3) Small group practice. Case Load: (4) This facility has close to zero turnover. By the time you return to the OR from PACU, your next patient will by on the table ready for induction. Breaks and lunch are often missed. However, many days you get off early! Payment is by the day not the hour. Case Variety: (2) The facility is strictly an Ortho Center. Travelers do not do pediatric or nerve blocks (the aesthetic for the majority of cases). Credentialing Process: (5) Credentialing was extremely quick and easy. I self-credentialed (without a staffing agency) And I was credentialed within two weeks' time. Acuity and Practice Autonomy: (3) Most patients are ASA 1 and ASA 2. Do to the fast pace nature of this facility, your practice relies heavily on the MD to review patient history. Mat-Su Regional Medical Center is a community healthcare provider with 74-beds, a wide range of inpatient and outpatient care, diagnostic imaging and emergency, medical and surgical services. 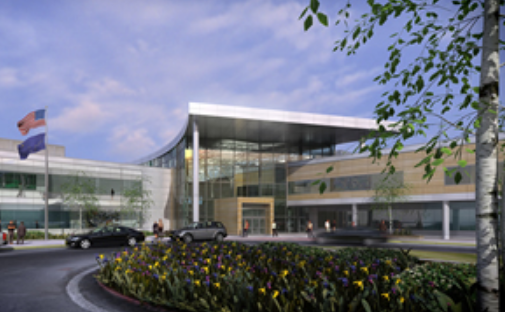 Mat-Su Regional Medical Center also offers a sleep lab, cardiac catheterization lab, off-site urgent care facility, robotic surgery and the advanced total hip replacement procedures. Practice Type: (2) Small Group Practice Minimal support to travelers. Case Load: (3) This facility pays hourly, without guaranteed hours or day based overtime. Although most days are full with little to no down time. Case Variety: (3) This facility does a variety of cases including OB. Credentialing Process: (4) Credentialing office personnel were efficient and friendly. Acuity and Practice Autonomy: (3) Acuity is typical to Alaska. This facility uses a team-based model, however autonomy is high. Not recommended for new graduates. Housing: (2) Housing is most likely difficult to find in this area. I, however, stayed with a friend. Commute: (4) This area is exceptionally beautiful. Winter months the drive can be challenging. Recreation: (4) Palmer/Wasilla AK has lots of outdoor activities to explore. Hunting and camping are especially popular. Exercise Facilities: (3) Other than the Alaska club there are no other exercise facilities I am aware of. Alaska Surgery Center is an affiliate of Surgical Care Affiliates (SCA), a leader in patient Best Demonstrated Practices and has developed a nationwide initiative to measure quality improvement across multiple surgical providers. Medical procedures and specialties include: Anesthesiology, Gastroenterology, General surgery, Gynecology, Ophthalmology, Oral and Maxillofacial Surgery, Orthopedic Surgery, Otorhinolaryngology (ENT), Neuro Surgery, Pain Management, Plastic Surgery, Podiatry, and Urology. Practice Type: (4) Small Group practice-Excellent outpatient surgery center. Case Load: (4) This facility is an exceptionally fast past out-patient surgery center. There is little down time. Compensation is by the day. Case Variety: (4) This facility has Ortho, GYN, Eyes, Pediatrics and General surgery. There is no preferential assignments with for residential CRNAs over locums. Physicians at Lakewood Endoscopy Center treat disorders and diseases of the digestive tract – including the esophagus, stomach, intestines, liver and pancreas – and regularly treat diverse conditions. Practice Type: (4) CRNA group practice. Case Load: (4) This facility is an exceptionally fast paced endo center. CRNAs are expected to wake the patient up immediately after the procedure. Case Variety: (1) Endoscopies only. Credentialing Process: (3) Straight forward. Acuity and Practice Autonomy: (3) The patients in this facility are ASA1 and ASA2. However, a difficult patient can be missed. Due diligence is needed when prepping patients. Housing: (3) Housing is available and expensive. I rented a reasonably priced house in Lakewood, CO.
(2) Traffic is heavy and difficult in the winter months. Recreation: (4) The Denver area is full of outdoor activities. And lots of people to connect with for recreational activities. Excellent for singles! Exercise Facilities: (4) The Denver area has multiple exercise facilities and yoga studios. 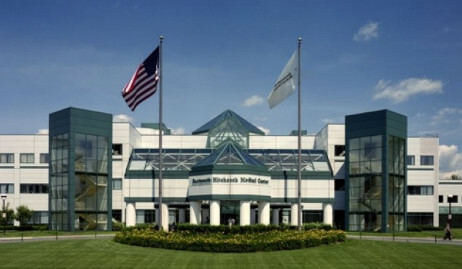 Covenant Health's SurgiCenter is the region's premier outpatient surgery center. Designed specifically to provide same-day surgery services, the center allows patients to recover in the comfort of their own homes. The SurgiCenter provides a wide range of ambulatory surgical services as well as endoscopy and pain management services. Practice Type: (4) Small Group practice. Case Load: (4) Comfortably paced OR schedule. Excellent support staff. Free lunches ordered out. Case Variety: (4) This facility is an outpatient surgery center with a wide variety of OSC cases. Credentialing Process: (4) Straight forward through NorthStar Anesthesia. Acuity and Practice Autonomy: (4) ASA 1 and ASA2 Team-based practice. Supportive, however, at the time, had only recently started hiring CRNAs. Commute: (5) Easy and convenient commute with beautiful sunrises and sunsets. The University of Oklahoma Health Sciences Center is an internationally prominent faculty possessing state-of-the-art facilities and technology. The center is a leader in education, research and patient care. It is one of only four comprehensive academic health centers in the nation with seven professional colleges – Allied Health, Dentistry, Medicine, Nursing, Pharmacy, Public Health and Graduate Studies. The OU Health Sciences Center serves approximately 4,000 students in more than 70 undergraduate and graduate degree programs on campuses in Oklahoma City and Tulsa. Practice Type: (4) Large Teaching Hospital OR expertly managed by the anesthesia department. Case Load: (4) Full work days with little down time. Long cases, learning environment. Case Variety: (4) CRNA travelers were assigned similar to resident CRNAs. Wide variety of cases. No call. No weekends. Credentialing Process: (2) This was my first travel assignment. I mistakenly relied on my staffing agency to do my credentialing, as promised. My start date was delayed by two weeks. Acuity and Practice Autonomy: (4) This facility provided good autonomy and the acuity level of the patients was average for a teaching hospital. Obesity is a problem in OK.
Housing: (3) This assignment was short. I therefore stayed in a hotel. Commute: (3) I lived close to the hospital. However, traffic was typical to a large western city. Recreation: (4) Recreation weather in this area is good. I enjoy cycling with the local club, during my time there. Exercise Facilities: (3) I did not spend enough time here to comment. Mt. 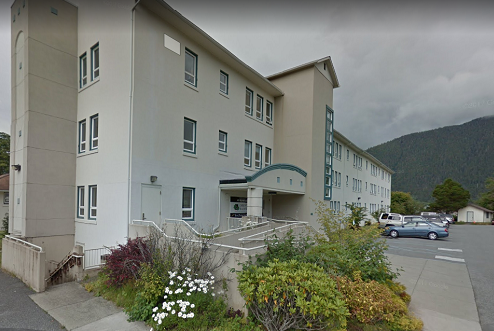 Edgecumbe Hospital (S’ÁXT’ HÍT) is an acute, specialty, primary- and behavioral-health provider committed to delivering comprehensive medical services to anyone living, working, or visiting Southeast Alaska. Mt. 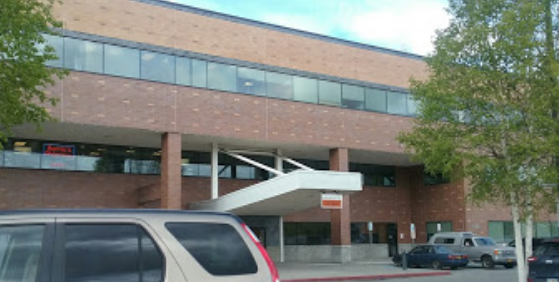 Edgecumbe Hospital (MEH) is also a 25-bed critical access hospital with a broad range of medical specialties and primary care services (in close partnership with Alaska’s other health facilities) to support a comprehensive spectrum of healthcare and related services. Practice Type: (2) Two Operating Rooms. CRNAs only. Case Load: (4) Most days are 8 hours or less. 24/7 call when on island. Case Variety: (2) Daily preoperative interviews. Some OB. Mostly scheduled colonoscopies. Some minor emergencies. Acuity and Practice Autonomy: (5) Independent practice. Housing: (3) Hotels less than optimal. VBO excellent, however can be expensive. Assignments usually short, making VBO affordable. Commute: (5) The commute is beautiful and you pretty much can live anywhere and make it back to the hospital when on call. Recreation: (4) I enjoyed the community theater and arts program. It has been voted the best in Southeast Alaska! Exercise Facilities: (1) None that I know of. Petersburg Medical Center is a critical access hospital with 12 acute care/swing beds. The nursing team is composed of RNs, LPNs and CNAs. Acute Care Services Include: Inpatient hospitalizations, Skilled Nursing/Rehabilitation program, Medically Necessary Observation, Chemotherapy, Wound Care, Respite Care, Outpatient Infusions, Full Time Physical Therapy, Activities Program, Cardiac Stress and Non-stress Tests, Endoscopies, Colonoscopies, and Ambulatory Surgery with on staff orthopedic surgeon. Practice Type: (4) Solo practice. Single room OR. Case Load: (4) Three days at a time. AM shift only. Compensation provided per day. Case Variety: (1) MAC cases only. Credentialing Process: (4) Straight forward. Acuity and Practice Autonomy: (5) The only provider on site. Housing: (3) Hotel close to hospital. Commute: (5) Walk to work. Recreation: (4) Excellent fishing town. Exercise Facilities: (1) None, as far as I know.